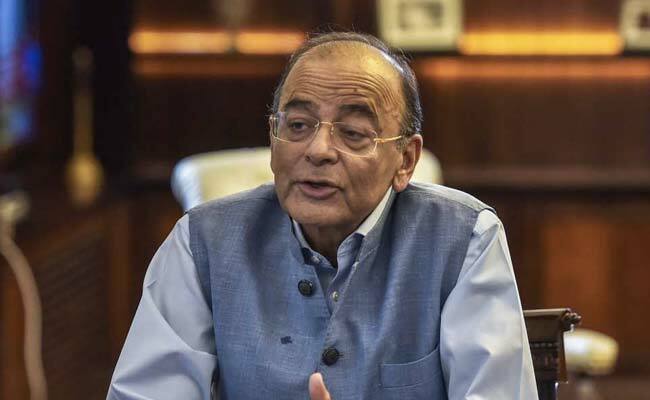 Arun Jaitley called Sajjan Kumar a "symbol of the anti-Sikh genocide" and said the country had never seen "murders on a bigger scale than this"
Arun Jaitley called Sajjan Kumar a "symbol of the anti-Sikh genocide". Union Minister Arun Jaitley has described the conviction of senior Congress leader Sajjan Kumar in a 1984 anti-Sikh riots case as "a delayed vindication of justice", but it was sad, he said, that the judgment came on a day "when a senior leader who Sikhs believe to be behind riots is being made a minister". Finance Minister Arun Jaitley was apparently referring to Kamal Nath, who took oath as the chief minister of Madhya Pradesh, in a ceremony attended by top opposition leaders. The Congress said the verdict in a 1984 anti-Sikh riots case should not be politicised and the law should take its own course. Sajjan Kumar's conviction by the Delhi High Court is a delayed vindication of Justice. The Congress and the Gandhi family legacy will continue to pay for the sins of 1984 riots. Justice for the victims of 1984 was buried by the Congress - the NDA restored fairness and accountability. Sajjan Kumar has been convicted for the murder of five members of a family in Delhi's Raj Nagar and the torching of a gurdwara on November 1, 1984. He will spend the "remainder of his natural life" in prison, said the court, which cancelled an earlier court ordering his acquittal in the case. The riots were a "crime against humanity" perpetrated by those who enjoyed "political patronage", the court observed. It said the trial court had erred in acquitting Sajjan Kumar as he had instigated the mob. Kumar has been told to surrender by December 31. Mr Jaitley called Sajjan Kumar a "symbol of the anti-Sikh genocide" and said the country had never seen "murders on a bigger scale than this". He also alleged that both the Congress and the Gandhi family were involved in a "cover-up". "This was the worst kind of genocide. Thousands of innocents were burnt and killed by mobs led by Congress leaders. Instead of ensuring justice, the Congress government indulged in a cover-up," he said. The decision may be delayed but at least the process of justice has started, he said, hoping that there will be more convictions as many cases are being heard on a day-to-day basis.